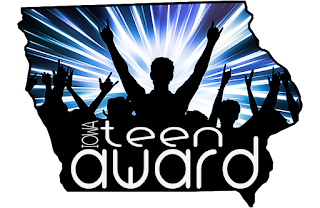 Ten 2016 MG Books to be Excited About! My favorite kind of book is the kind that makes you laugh and/or cry! While it's hard to know for sure if these books will do that, based on the description and/or the author's previous works, these are the ones I'm betting on. 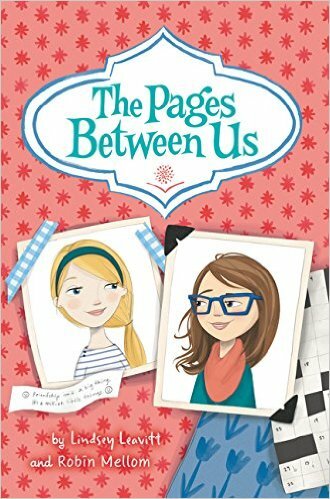 The Pages Between Us by Lindsey Leavitt and Robin Mellom (HarperCollins, 2/9/16) - Told in letters, posters, blog posts, homework assignments, and more, The Pages Between Us is a totally fun, totally earnest snapshot of middle grade friendship—and what it truly means to be there for someone during the ups, downs, and everything in between. Piper and Olivia have been best friends since…well, forever. But they're distressed to find that their new middle school schedules aren't giving them enough together-time. Luckily, an idea sparks when Piper finds a cute, sparkly notebook to disguise as her "French Class" homework. It's genius—now the two BFFs can stick together all the time. And document their adventures—you know, for anthropology's sake. But as the two navigate the tricky new world of sixth grade, they realize that they may need to branch out more than they originally thought. Their notebook, once a life raft, begins to feel like a big responsibility. Can they grow up, without growing apart? 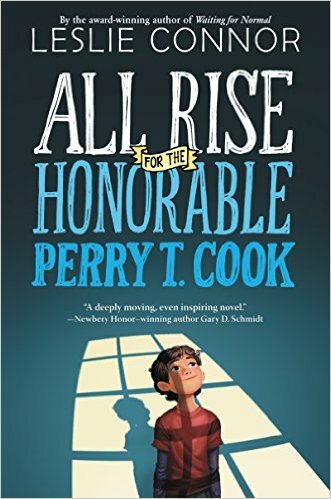 All Rise for the Honorable Perry T. Cook by Leslie Connor (HarperCollins, Tegan Books, 3/1/16) - Eleven-year-old Perry must trade a prison that feels like home for a home that feels like a prison when an ambitious district attorney has him yanked from the minimum-security correctional facility where he was raised. 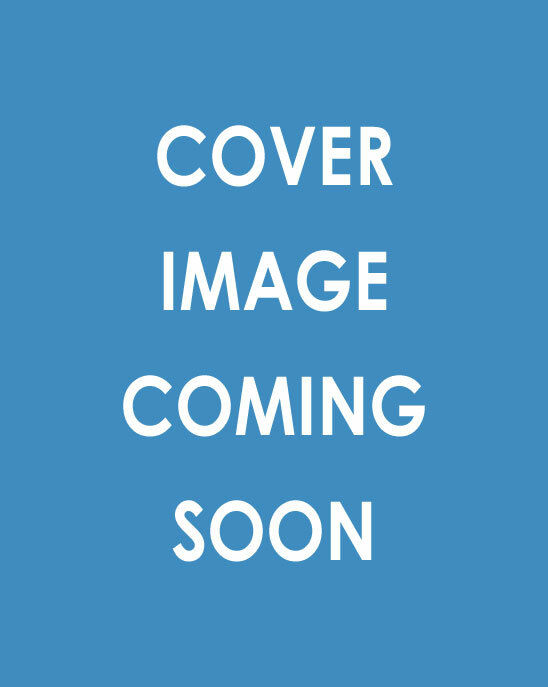 While learning to navigate on the outside, Perry resolves to reunite with his mother, and in the process, discovers the deepest truths about his mother’s conviction. 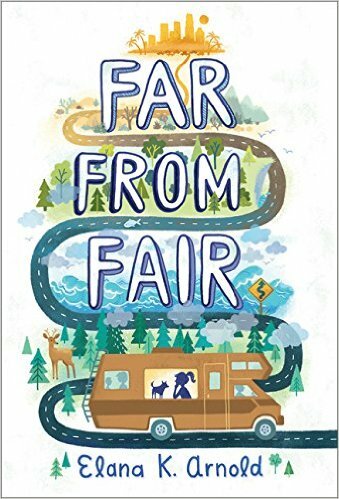 Far From Fair by Elana K. Arnold (HMH Books for Young Readers, 3/1/16) - Odette Zyskowski has a list: Things That Aren’t Fair. At the top of the list is her parents’ decision to take the family on the road in an ugly RV they’ve nicknamed the Coach. There’s nothing fair about leaving California and living in the cramped Coach with her par­ents and exasperating younger brother, sharing one stupid cell phone among the four of them. And there’s definitely nothing fair about what they find when they reach Grandma Sissy's house, hundreds of miles later. Most days it seems as if everything in Odette’s life is far from fair. Is there a way for her to make things right? The Girl in the Well is Me by Karen Rivers (Algonquin, 3/16/16) - Longing to be one of the popular girls in her new town, Kammie Summers has fallen into a well during a (fake) initiation into their club. Now Kammie’s trapped in the dark, counting the hours, waiting to be rescued. (The Girls have gone for help, haven’t they?) 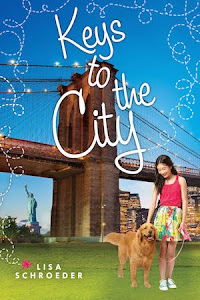 As hours pass, Kammie’s real-life predicament mixes with memories of the best and worst moments of her life so far, including the awful reasons her family moved to this new town in the first place. And as she begins to feel hungry and thirsty and light-headed, Kammie starts to imagine she has company, including a French-speaking coyote and goats that just might be zombies. 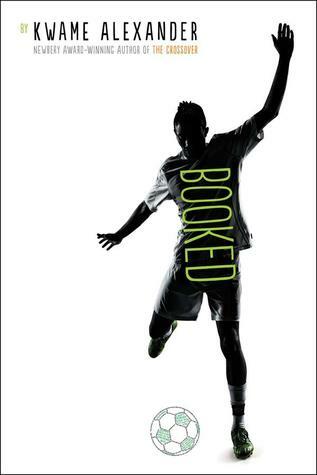 Booked by Kwame Alexander (HMH Books for Young Readers, 4/5/16) - In this follow-up to the Newbery-winning novel THE CROSSOVER, soccer, family, love, and friendship, take center stage as twelve-year-old Nick learns the power of words as he wrestles with problems at home, stands up to a bully, and tries to impress the girl of his dreams. Helping him along are his best friend and sometimes teammate Coby, and The Mac, a rapping librarian who gives Nick inspiring books to read. 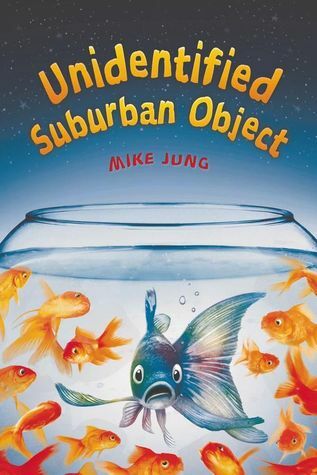 Unidentified Suburban Object by Mike Jung (Arthur A. Levine Books, 4/16/16) - The next person who compares Chloe Cho with famous violinist Abigail Yang is going to HEAR it. Chloe has just about had it with people not knowing the difference between someone who's Chinese, Japanese, or Korean. She's had it with people thinking that everything she does well -- getting good grades, winning first chair in the orchestra, et CETera -- are because she's ASIAN. Of course, her own parents don't want to have anything to DO with their Korean background. Any time Chloe asks them a question they change the subject. They seem perfectly happy to be the only Asian family in town. It's only when Chloe's with her best friend, Shelly, that she doesn't feel like a total alien. Then a new teacher comes to town: Ms. Lee. She's Korean American, and for the first time Chloe has a person to talk to who seems to understand completely. For Ms. Lee's class, Chloe finally gets to explore her family history. But what she unearths is light-years away from what she expected. 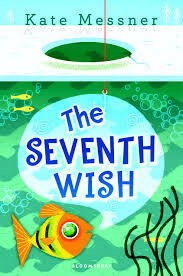 The Seventh Wish by Kate Messner (Bloomsbury, 7/7/16) - A magic-fish fairy tale retelling set in a modern-day ice fishing community, THE SEVENTH WISH is the story of 12-year-old Charlie Brennan, who catches a wish-granting fish, only to find that her wishes go terribly (and hilariously) wrong at first. 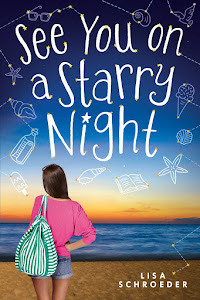 After things finally turn around, Charlie’s family discovers her older sister is struggling with addiction, and Charlie learns some things can’t be fixed, even with wishing. Still a Work in Progress by Jo Knowles (Candlewick Press, 8/1/16) - "Please stop standing on the toilet seats" is one of many requests found in the "Suggestion Box" at Noah's small, rural middle school. Here, life seems pretty simple, especially for Noah's two best friends. Their biggest problems are avoiding girls who have crushes on them and figuring out how to dance during the fast part of "Stairway to Heaven." When it comes to girls, Ryan claims to know everything, and Sam doesn’t seem to know anything. But they both agree Noah's older sister Emma is perfect. Emma has always outshone Noah, and he's mostly OK with that. It's only in art class, where Noah is somehow able to coax beautiful forms out of blocks of clay, that he feels special. But the truth is, Emma is far from perfect. The family tip-toes around the issue, afraid The Thing They Don't Talk About could happen again. When Emma starts to show signs that she’s struggling, it's clear that nothing is going to be simple anytime soon. Noah will have to reconsider what’s important, who matters, and how to make his way in a complicated world where, it seems, his art isn’t the only thing that's still a work in progress. 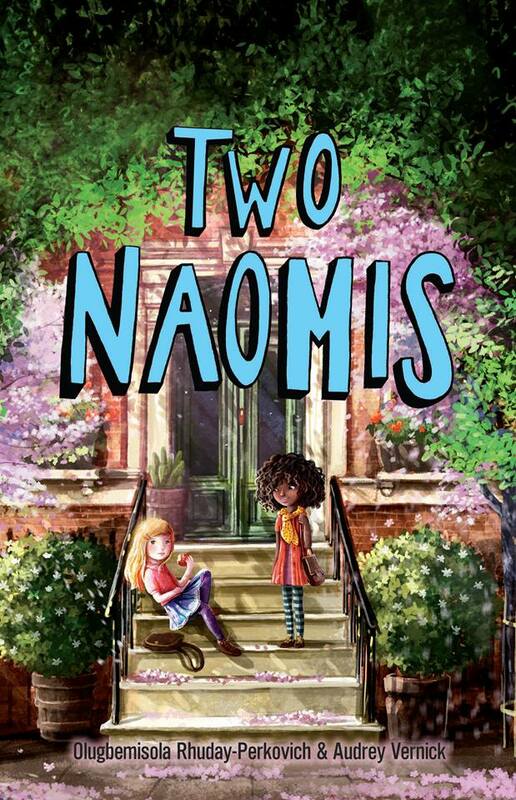 Two Naomis by Olugbemisola Rhuday-Perkovich & Audrey Vernick (Balzer & Bray, 9/13/16) - Two girls of the same age, with the same name, live in the same city. And their parents are dating. They must learn how to forge their own identities and a new definition of family, even as they negotiate the preservation of their own routines and cultural traditions. 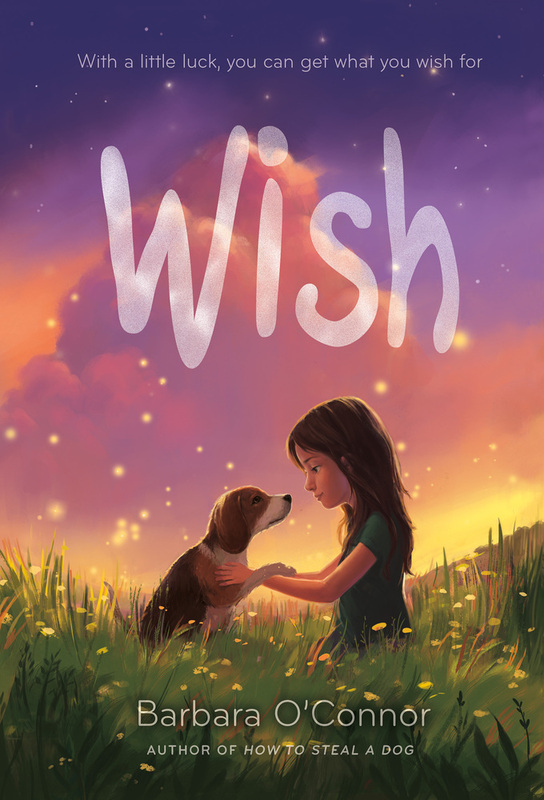 Wish by Barbara O'Connor (Farrar, Straus and Giroux, 11/1/16) Eleven-year-old Charlie Reese has been making the same secret wish every day since fourth grade. She even has a list of all the ways there are to make the wish, such as cutting off the pointed end of a slice of pie and wishing on it as she takes the last bite. But when she is sent to the Blue Ridge Mountains of North Carolina to live with family she barely knows, it seems unlikely that her wish will ever come true. That is until she meets Wishbone, a skinny stray dog who captures her heart, and Howard, a neighbor boy who proves surprising in lots of ways. Suddenly Charlie is in serious danger of discovering that what she thought she wanted may not be what she needs at all. 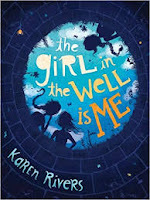 Any middle-grade novels you're particularly excited about this year? Would love to hear about them! 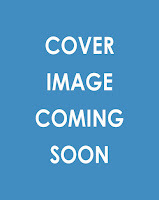 Yesterday I started a new book. At this point, it's not a new thing. In fact, it's quite a familiar thing -- pulling up a blank page with the intention of filling it with words that will become a new book. I've actually been doing it for a long, long time. The photo below is a peek of a "book" I made when I was 7 or 8 years old about a rabbit who gives a valentine to a lion. 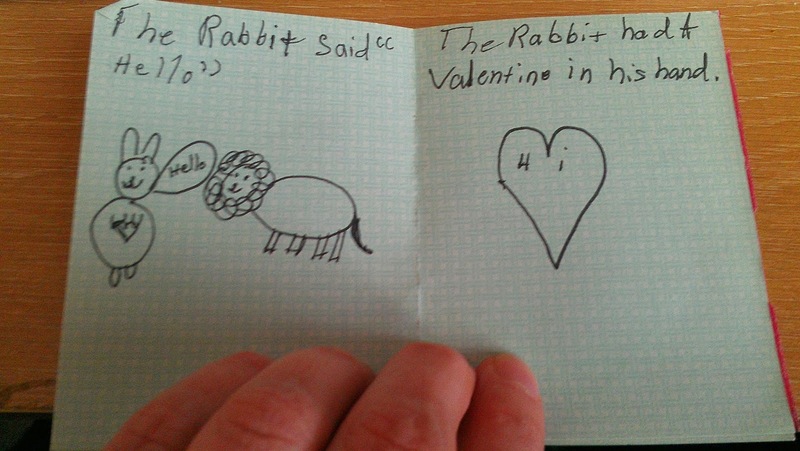 Why a rabbit and a lion, you ask? Well, because those were two animals I knew how to draw, of course. These days, I don't draw pictures to go with the words, which takes a lot of pressure off, let me tell you, and I usually type my story on a computer. But it isn't any less fun, starting a new book. I usually think something along the lines of - "Okay, here I go. Let's do this!" After I opened a new document, I typed my name in the upper left hand corner, followed by my phone number and email address, although it's probably not necessary since my agent certainly knows how to reach me. But it's habit, and I think, in a way, I like doing it. It says, this is mine. This is my story that I'm going to create from a blank page. From nothing. I'm doing this - ME!!! This is the thing that slays me about art, of any kind - at first, there is nothing. And then the artist does their thing, and voila - a thing exists where nothing was before. Whatever you do, whether it's drawing or painting or writing or web design or photography or cooking or sewing or crocheting or sculpting or video making or songwriting or (insert your thing here), I hope you take a moment every once in a while to marvel in the fact that you are a creator. And even if you dance or act or sing or play an instrument or perform in some way that doesn't necessarily leave something tangible behind, you are creating. And here's the thing about creating -- you are living such an interesting life by doing so. It's true, right? When I am creating, I am not worried about politics in that moment. I'm not worried about health issues. I'm not worried about money. I am creating, and my focus is there. I have a vision, and I am in a special place that exists only in my mind. I am so thankful for the ability to create. I hope you are too. And if, like me, you question your talent or abilities every now and then, or every five minutes some days, remember that there are so many worse things we could be doing than doing our best to create something good in the world. Whatever the outcome, we are creating. And that is so completely awesome. I am trying to like February more than I have in the past. It's always a tough month for me, because my body is ready for more daylight. I long for less rain and more sun. And when February rolls around, it starts to feel like the grayness and the rain will never leave, and it can make me kind of cranky. But I also believe that so much of how things go is partly influenced by our attitude at the outset. So today I'm trying hard to say - hooray, February is here! Can you see that pained smile on my face as I say it? Maybe I just need to fake it 'til I make it - that's what I'm trying out, I guess. We'll see if it makes a difference this year. Kind of related - did y'all see this list of goals that author Octavia Butler made years ago? (Sorry, sometimes I just become Tami Taylor for no good reason. Texas Forever, y'all.) Anyway, Octavia Butler is the Queen of Goals, for sure. What's that saying - Believe it then you will see it? Mkay, I'm gonna believe February will be awesome and hopefully it will be so. If halfway through I give up and just want to curl up into a ball and have a Friday Night Lights marathon, well, at least I tried. 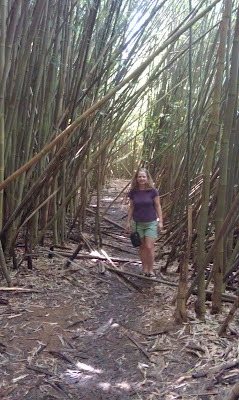 If I had my way, I'd just go to Maui for the whole month of February and be done with it. Now THAT would definitely affect a change in my attitude. (Here is a picture of me hiking through a bamboo forest a few years ago). Ahhhh... I miss you, Maui. January wrapped up with with more good news. THE BRIDGE FROM ME made another list - it's a nominee for Iowa's teen book award. Thanks to the librarians there! I have a bunch of promo work to do this month to get ready for the release of THE GIRL IN THE TOWER. (Speaking of which - if you're on Goodreads, there is a giveaway for FIVE Advanced copies. But hurry, it ends Friday!) And I need to start writing a contracted book that's due in a few months. So it will be a busy one, but it's all good. I'm constantly reminded how fortunate I am to be doing this writing thing for a living. Yes, there are frustrations and heartaches, but there are also celebrations around books and reading - two things I've loved my whole life. To be a part of the business of putting books in the hands of kids and teens is pretty incredible. I'm wishing y'all a wonderful February. Eat lots of chocolate which the shelves are full of right now. I've heard it helps.